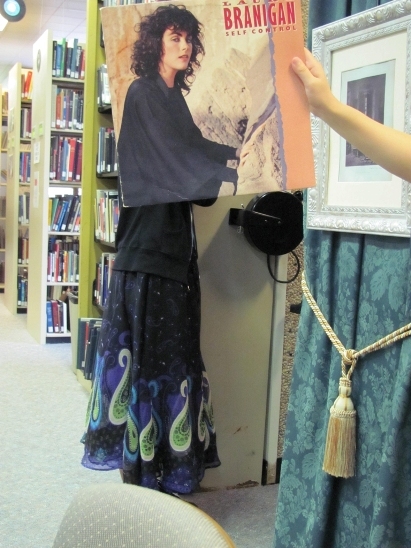 Not wanting to startle anyone, Laura Branigan slowly creeps toward the new extension cords so she can plug in her laptop at one of the Music Library’s tables. In this photo: Laura Branigan, Megan Cassidy and Claire Agresta. Photo by Liz Tousey. This entry was posted in Pop and tagged Laura_Branigan. Bookmark the permalink.